Despite the prominence of multi-touch technologies, there has been little work investigating its integration into the desktop environment. Bringing multi-touch into desktop computing would give users an additional input channel to leverage, enriching the current interaction paradigm dominated by a mouse and keyboard. We provide two main contributions in this domain. First, we describe the results from a study we performed, which systematically evaluates the various potential regions within the traditional desktop configuration that could become multi-touch enabled. The study sheds light on good or bad regions for multi-touch, and also the type of input most appropriate for each of these regions. Second, guided by the results from our study, we explore the design space of multi-touch-integrated desktop experiences. 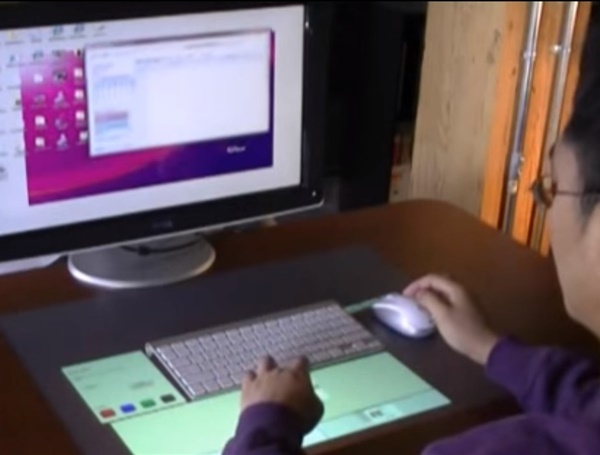 A set of new interaction techniques are coherently integrated into a desktop prototype, called Magic Desk, demonstrating potential uses for multi-touch enabled desktop configurations.